I swear by Apollo Physician, by Asclepius, by Health, by Heal-all, and by all the Gods and Goddesses, making them witnesses, that I will carry out, according to my ability and judgment, this oath and this indenture. Now if I keep this oath and break it not, may I enjoy honor, in my life and art, among all men for all time; but if I transgress and forswear myself, may the opposite befall me. For immemorial ages medical professionals have been the Earthly Gods when it comes to protecting and preserving the life of an individual. This honor and privilege is not even given to the Courts of Law in any country. But lately the instances of medical negligence and malpractice have posed a serious question upon the sanctity of this profession and also the laws that provide immunity to the professionals. This essay shall delve into the policy and legal framework of the nation regarding medical malpractices through various incidents and landmark case laws, and shall provide recommendations to improve the situation for a better tomorrow. One in 10 patients is harmed while receiving hospital care. The risk of health care-associated infection in some developing countries is as much as 20 times higher than in developed countries. At any given time, 1.4 million people worldwide suffer from infections acquired in hospitals. Over 100 million people require surgical treatment every year. Problems associated with surgical safety in developed countries account for half of the avoidable adverse events that result in death or disability. There is a one in 1,000,000 chance of a traveller being harmed while in an aircraft. In comparison, there is a one in 300 chance of a patient being harmed while being given health care. Though the education instance makes both the parties guilty amounting the offence of corruption, there are situations where an innocent patient and his family members suffer a lifelong injury due to the negligence of a doctor who is in hurry to complete multiple surgeries in a couple of hours or someone else who lost his dear one due to negligence, carelessness or lack of necessary medication and equipments with the hospitals. These incidents on one hand, and the objective of Indian government to make a healthier nation, stand poles apart and raise question on the efficiency of governing bodies, integrity of medical professionals and the life of common people. The Indian Penal Code, 1860 (IPC) deals with medical negligence under various sections. As per the rules if death is caused by the doctor while performing a medical activity, then on the lodging of FIR the doctor shall be arrested under Section 304A and be punished with a maximum imprisonment of two years, with or without fine. But if no death occurs, but hurt or grievous hurt is caused then the doctor shall be prosecuted under Sections 337 and 338 of IPC. Similarly, doctors being professionals offering medical services are also covered under the Consumer Protection Act, 2000. There have been various case laws where the Apex Court of the land have decided upon the medical negligence in IPC and in the same manner the Consumer Forum has responded in a very responsible manner to such cases. So the conceptual basis was already present before Indian courts and commissions to follow and expand upon in such cases. When the complainant alleged that her husband died due to the complications arising after kidney biopsy. The State Consumer Disputes Redressal Commission (Punjab) held that the complainant had suppressed the crucial facts in her complaint. Besides serious life threatening diseases, the deceased was already suffering from tuberculosis and staphylococcus aureus septicaemia (a serious infection of the blood by bacteria). These are very serious diseases with a very high mortality rate especially when the heart, lung and brain get infected. Hence, the complainant had not come with clean hands and thus disentitled herself to relief under this jurisdiction of the C.P. Act and so the complaint was dismissed with Rs. 1,500/- as costs. In another incident the complainant’s 18-year-old son was suffering from chronic renal failure and was advised renal transplantation. He was admitted in the hospital and dialysis was done for which a venous catheter was introduced in the right thigh and kept in situ (same position of the body) as he would require frequent dialysis. But due to lack of proper care like frequent dressing and medical attention, this site developed pus formation leading to A.V. Fistula, which resulted in gangrene of the right leg. In order to save the life of the patient, amputation of the leg was necessary. The patient died after 20 days. The opposite did not appear in the State Commission. The case was decided in favour of the complainant on the basis of the affidavits filed by the complainant and another experienced doctor who testified in favour of the complainant. A compensation of Rs. 2,00,000/- with Rs. 1,000/- as costs to be paid by the opposite party within 30 days from the receipt of this letter, failing which the amount shall carry interest at the rate of 18% per annum till realization. Similarly in the cases of Jayantilal Govindalal Parmar v. Managing Trustee & Ors and C.J. Lawrence v. Apollo Hospitals, the SCDRC of various states have acquitted the doctors due to lack of evidence on part of the patient. This brings us to the point that when we shift the burden of proof, i.e. the responsibility to prove a point in the court of law; upon the alleged or accused doctor, then ball is in his court, but in the same situation there might be many frivolous cases, unfeasible and negligible injury cases that might put the medical profession of a person into question and on the other hand the life of a person. The patient injury sessions held at AIIMS and various other medical associations who are taking up the charge to spread awareness amongst the people and also keeping up the Hippocratic Oath amongst the medical professionals and students. Awareness thorough various NGOs amongst the people about their rights, privileges and risks while signing an agreement of medical treatment woth ant hospital of private medical professional. Expert testimony and investigation shall prove beneficial in court trials of cases of medical negligence. With the advent of medical negligence cases the country and in the absence of any strict policy of the government on the issue, the only fact that can help save both the lives of people and the sanctity of medicine as profession, shall be awareness, distributed responsibility and better remedies to the public. 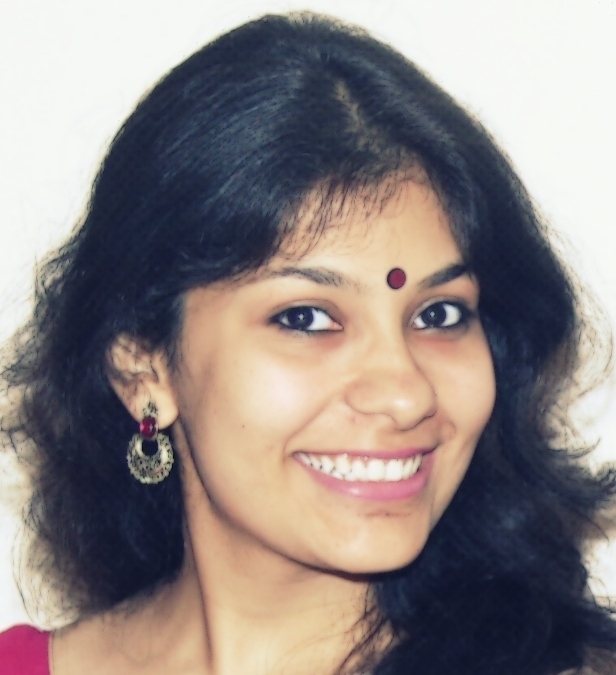 Kanupriya is currently pursuing B.A.,LL.B(Hons.) at National Law Institute University, Bhopal. She is actively engaged in legal research in writing. She desires to play a role in the humanization of the society by way of shaping thoughts of people through activist writing.